I asked the kids what was 'forgiveness' and the replies were priceless! “It means accepting a 'sorry"; “It means forgetting about it"; "It means trusting again". Then I asked how many in the group had been bullied and half the group raised a hand. So I then asked why do some people strike out, call names, bully or take something of yours. There were lots of answers and also many questions and discussions. Then one little girl, couldn't have been older than 7 or 8, summed it all up. She raised her hand, and with big eyes and surety said..."It's because they have something bigger going on!" Such wisdom! Such Beyond Awesomeness! Mother's Day has yet to arrive but over the past weekend our team celebrated what a gift and a joy mothers in communities we serve are. We spent the month or two prior to the celebration day brainstorming, planning, co-ordinating, resourcing - take it from us, there was a lot going on behind-the-scenes. All the hard work paid off because when we opened our doors, more than 50 family members poured in, many of them have children attending our program but have never once stepped into our Beyond Awesome classroom. Mothers beamed with pride as their children raised their hand with excitement to share what our classroom expectations are (being kind, giving things a go, respect our space, using listening ears, avoiding physical contact). "Why is this even a big deal? ", you may be asking. We know. It sounds simple but in actuality, many of the children and youth we outreach to do not have a structured home environment, are often overlooked at school or are dealing with a lot of emotions and challenges. When we first started our program, many fights would break out, it was common to hear cuss words every couple of minutes and we were up against apathetic attitudes and rolling eyes because, to them, they hated the thought of 'learning' or 'school'. 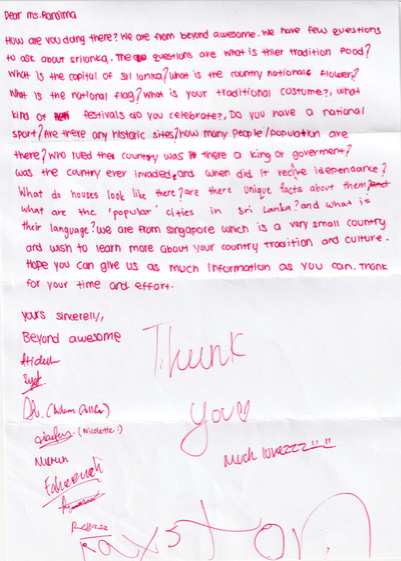 But, with consistency and commitment thanks to our wonderful WorldChangeAgents, students have developed a love for learning, they are curious about the world and they have pride in their work and in our Beyond Awesome Classroom because to them, it's home. We digress for a moment but it's just to give you a little peek as to why this weekend was extra meaningful for everyone. We set up a 'Mums Pampering' area where hands were massaged, hand scrubs provided and nails painted - all children were ushered into our main room. We broke up into groups based on age and reading levels to read stories and meeting each other (as some children were new to the program). We printed out photos of families and children loved decorating their own photo-frame which they gifted to their mothers or lovingly came to collect at the end of the day to bring home. Thank you to our incredible Program Captains, who without them, none of this would be possible: Nicolette, Michelle, Yi Han, Kristin, Adam, Charmaine and Wizza. Thank you to Elsie's Kitchen for sponsoring amazing bento sets (which were fully customised for our program and consisted of Spaghetti Bolognese, Cheese Croquette, Buttered Carrot & Broccoli, Chicken Nugget, Honey Baked Drumlet, Mango Pudding Cup!) and going above and beyond to make sure our guests-of-honors (families and children!) were well fed and felt the love! Please follow them on their FACEBOOK and INSTAGRAM feeds (warning, you'll get hungry going through it)! Nobody went home empty handed thanks to the generosity of individuals who contributed bath, beauty and skin supplies over the last two months. As well as Amber Ay for hand-making earrings for the first 30 hampers. Thank you to our friends at Beyond Social Services and ISCOS for partnering to invite those in the community they felt would benefit the most from our celebration day. We want to thank all WorldChangeAgents for stepping up to our call for support before, during and after the event - from vacuuming floors to cleaning surfaces, from picking up students to ensuring each of them received care and attention, from taking photos to painting nails, from slicing apples to making sandwiches and from setting up the space to re-organising items right till the very end. 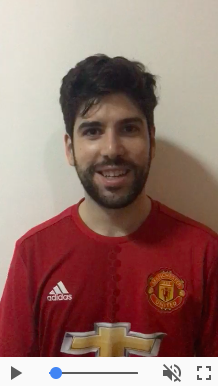 Thank you: Neelam, Nicole, Niki Laurens, Derek, Jie Ying, Kok F'ng, Jia Ying, Hannah, Yi Jun, Joelle, Aruno and Scarlet. Over the summer months, a few of our #WCALeader (Volunteer Leaders) started to re-imagine what our curriculum and content could look like for 2018. One of the things we definitely wanted to get away from was the expectation of worksheet-filled classrooms and teacher-led discussions. We wanted to have students voices heard a lot more and see more excited, raised hands. We kicked off the series starting off with students visiting The Netherlands and the energy in the room was electric (for lack of a better word)! One of our teachers, Kate, is half English and half Dutch so she took the time to explain her heritage and her country-men in an engaging powerpoint presentation filled with images of windmills, people and sharing about foods they're well known for, dutch pancakes! Students were then quizzed together on facts they heard during the presentation segment and proceeded to write a postcard to an imaginary friend in the Netherlands! We also provided students with the opportunity to create their own dutch pancakes and choose toppings of their choice! One of the things we're proud to engage our students with is a concept we have dubbed, Ninja Learning. What exactly does it mean to be a Ninja Learner? What on earth is that?! What does that even mean?! Don't worry - the best part is that most of our students don't even know they're participating in Ninja Learning. That's the core basis of what makes our programs so exciting and interesting to everyone in attendance. It's the moment when students are excited to learn, sparking curiosity and raised hands to discover more - without knowing they're taking part in the learning process. We're excited to witness this occurrence in our classroom every week. This is especially since some of our students first started in our program completely allergic to the notion of learning, running away from anything to do with books or what smelled like school. The beauty of being able to journey with our students (some of them for the last 2 years) is that we have been able to see a transformation in each of them and this eagerness to learn is contagious to relatively newer students. So we've taken our concept of Ninja Learning and applied it to many of our sessions! Look out for the next blog post that showcases one of our classroom projects that has excited many of our students in recent weeks. We've only just started it, but it's been an absolute hoot and a half! Last week, a few of our team leaders met for a time of nomming (yes, there was food aplenty! ), visioning and sharing stories from recent months. Most of the time, we hardly stop to catch a breath because we're either shuttling students to and from our centre, leading a class or we're planning ahead for what's to come. Some of our incredible team leaders! The team takes a moment to read some of our responses from our Student Surveys where students were able to share how they feel in our program. All of our volunteer team leaders serve through our program and they do this even if their 'day-jobs' take up most of their time. Their spirit of service and drive to inspire students in our care week in and week out is inspiring. We are only able to do what we do because of our team leaders who keep the wheels turning behind-the-scenes and what's not often pictured on our social media feeds. 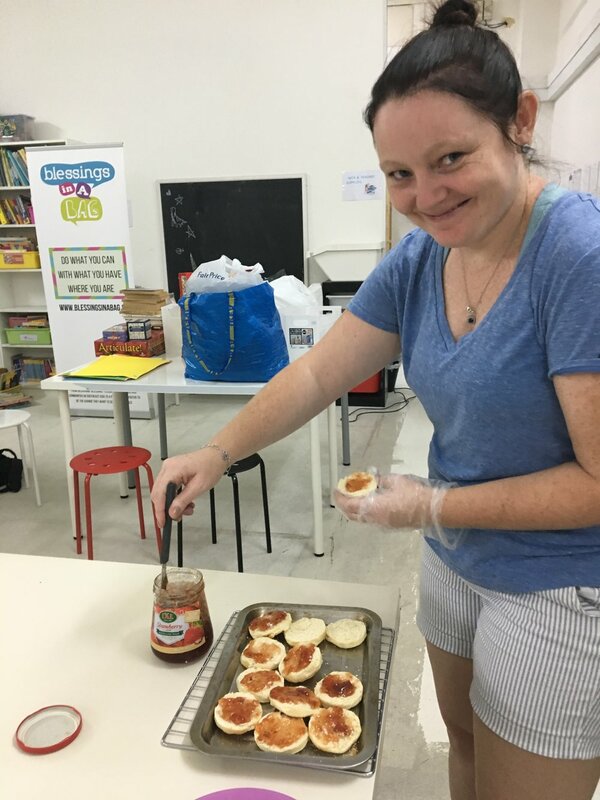 We have someone who's pre-planning curriculum and content, others are engaging student communities and parents, some are co-ordinating and on-boarding volunteers and others are incredible with ensuring every student receives dedicated care while in our space. There seems to be a never-ending list at the end of every class we run but these team leaders soldier on because of their passion and commitment to communities we serve. Throughout the year, we've had the pleasure of coming across some incredible individuals in Singapore. Some are full-time students, others graduating and looking to start the next chapter in their lives. Some are working full-time and others are looking for a place where they can explore their purpose, others look to create meaning from putting someone else's needs ahead of their own. We've flung our doors wide open and held 'Beyond Awesome 101', our volunteer info + orientation program to people looking for opportunities to give back to their community. We've shared how volunteers in our community are not any ordinary volunteer, they're cheerleaders. They cheer kids who attend our program on when they lack that encouragement during the week and they cheer each other on through life's messy challenges, forming friendships in the process. 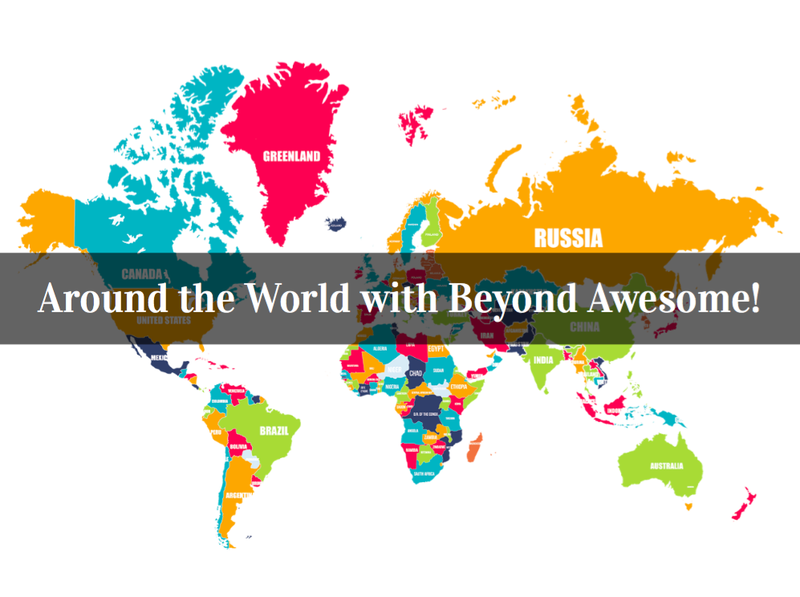 "For Beyond Awesome, my wish is to see more volunteers. I want to see more people because it's a very fun place where we can share many things and learn from each other." Our students got their colour connection and creativity on with Dani, The Meditation Teacher, and Susan - where they kicked off the #BeyondAwesome Kindness Project. Dani led the group in a gorgeous mindfulness session packed full of kindness and inspiration. Students got to shine their light by painting colourful patterns and designs, words and pictures onto their rocks - designed to bring a smile to whoever finds them. At a later date, students will participate in a rock hiding extravaganza - where they will hide their gorgeous art works in the community for others to stumble upon and smile! 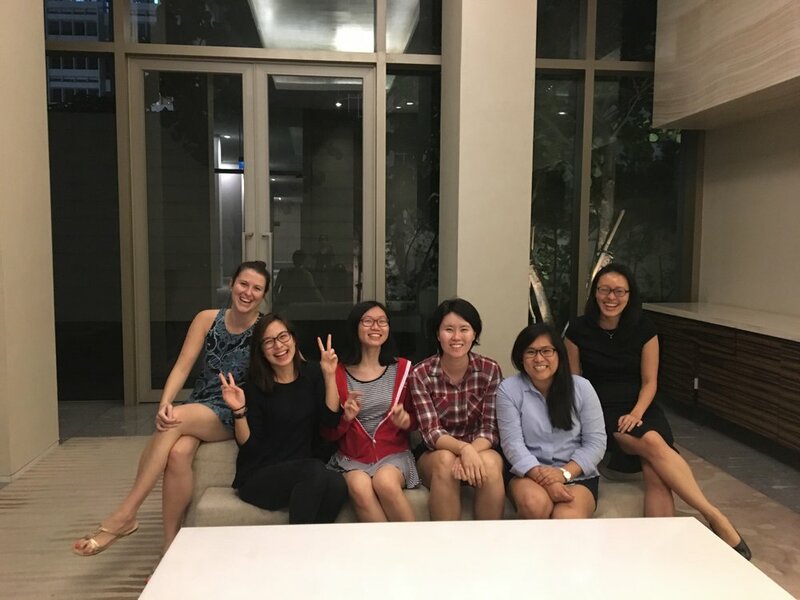 Massive thanks to Dani, Susan, Hui Ling, Mei Phing and all the #WorldChangeAgents that volunteer their time to bring our classes to life! Some beautiful words from Dani: "Today we explored the true nature of kindness. These wise little ones determined that kindness is a gift; when it's received you feel it in the heart as joy; it has to be given freely to be meaningful; it can be given in a smile, kind words and a helping hand and giving it creates a ripple, because when you experience kindness you just want to pass it on! GOLD! We practiced ratio breathing and then a guided visualisation in giving kindness and then noticing how the ripple of kindness feels in our hearts. Check out these beautiful kindness rocks the kids created. These are part of the SGROCKS movement. People all over Singapore are painting beautiful kindness rocks and leaving them in public places for others to find. We will be hiding these gorgeous offerings later this month...stay tuned! Let the Kindness Ripple roll on!" *Interested to serve through our programs and have a direct impact on the communities we outreach to? Look out for ad-hoc and first-time volunteer opportunities at the following link. Please note that should you want to directly work with our students, you will need to attend our info + orientation sessions and commit to a minimum time duration: CLICK HERE FOR UPCOMING SESSION DATES. This sharing comes from one of our program partners + educators, Dani Van De Velde aka The Meditation Teacher, who regularly serves with our 'Beyond Awesome' program. She spent some time reflecting on a recent mindfulness workshop that she led. "It's so great to be back at Blessings in a Bag's 'Beyond Awesome Program' this weekend and the fantastic kids in the Saturday group. This week we explored how feeling grateful not only strengthens our physical hearts and immune systems, but it can vastly change how we experience each day. We looked at optical illusions and saw that different people can see very different things when looking at the same image. Life is like this too. We can experience each day in very different ways, depending on how we engage with it. When we have a grateful heart, it is easier to see the good in experiences, ourselves and others. Our day becomes transformed. The Beyond Awesome Program relies on community support. Click the link here to see how you can help support these gorgeous children in their development and sense of belonging. 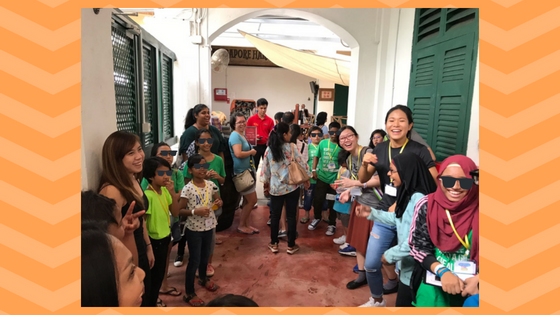 On any given Thursday evening, you'll find energetic students proudly wearing green t-shirts and assembling around the void deck/community spaces of two specific neighbourhoods in Singapore. 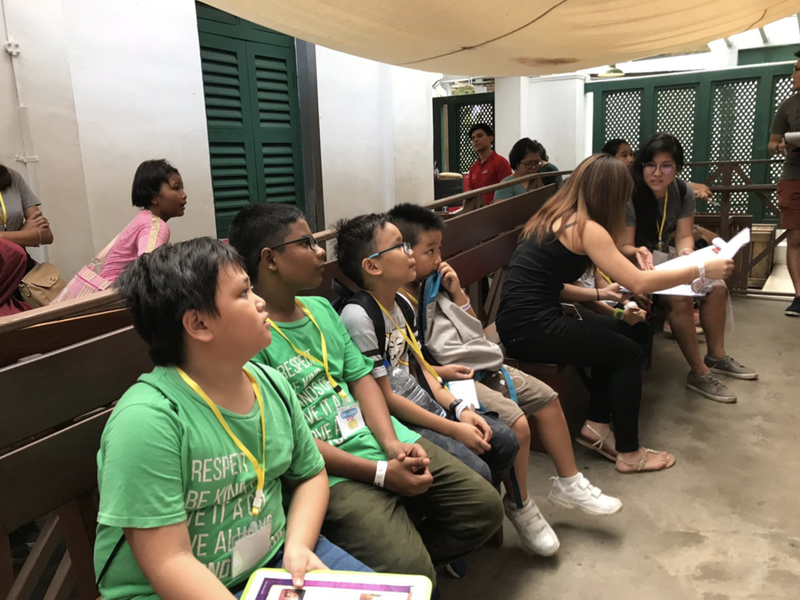 Now running like clockwork, students ensure they're ready with their bus passes, water bottle, #BeyondAwesome Book Bags and chatter animatedly with one another while waiting for their teachers + learning buddies to arrive. Rain or shine, an amazing army of #WorldChangeAgents (Volunteers) will excitedly greet our students every week, getting them into two lines and make their way towards the bus stop. Destination? Beyond Awesome HeadQuarters. Based in an un-assuming industrial building, most people would never notice or believe that a fun, learning environment exists behind the double glass doors on the eighth floor. But it does. And it's purpose? 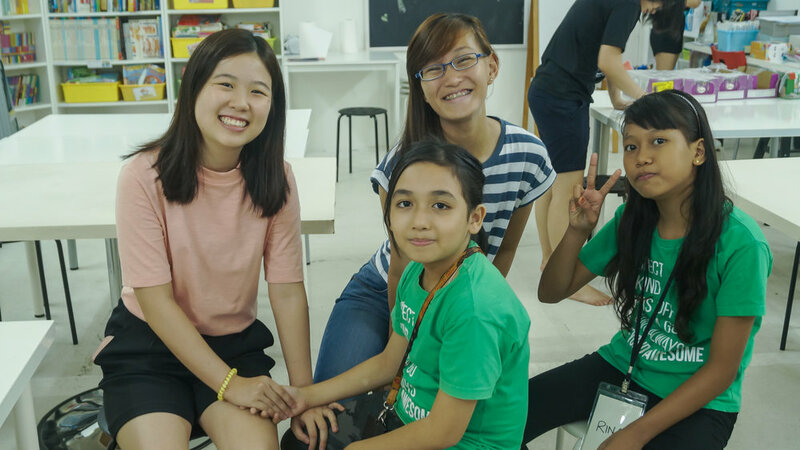 Reimagining learning experiences for kids across Singapore, with a specific focus on low-opportunity youth. On Thursday Nights (We call them our 'Beyond Awesome Nights'), our focus is on making literacy, creative writing and story-telling a fun and exciting journey. We'll have local authors stop by, literacy-experts and passionate workshop hosts who create + curate with kids in mind. One of our recent nights saw Teacher Emily plan activities based around Storycubes. 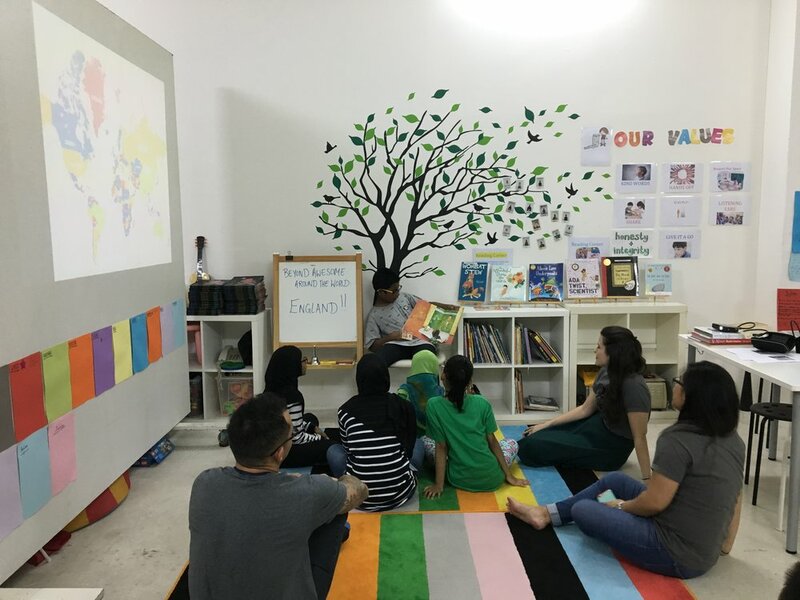 It started off with multiple students raising their hands to volunteer to read a story to the rest of the group (Birthday Boy, Jefri, was selected and he read beautifully!) followed by a large group exercise where each student imagined + created various storylines based on the cubes they rolled. Students were then split into teams to play their own versions of Storycubes but this time, they had to ensure their stories continued seamlessly from other team members that had shared before their turn. Getting into our StoryCubes Circle! After a few rounds sharing stories, students were ready for the challenge activity. Each team was asked to write a story as a group and to present in any format they wanted - in comic form, as a skit or play, in costumes, as a puppet show, etc. Students buzzed around their team members, excited with their own ideas and working hard to ensure everyone's thoughts were heard (and celebrated). Thanks to the amazing #WorldChangeAgents who helped to facilitate each team's experience, it was a literary success! In between activities, every student was given the opportunity to enjoy freshly sliced apples, cheese sandwiches and crackers - prepped and served lovingly by one of our #WorldChangeAgents, Adam - his pride + attitude towards what we do is evident in the way he presented the snacks and we made sure his efforts were celebrated by getting everyone in the room to clap and cheer! If you had stepped into the space at any given moment that night, you would have been greeted to the sounds of creativity, imagination and little sparks of awesomeness! This sharing comes from one of our #WorldChangeAgents*, Susan L., who regularly serves with our 'Beyond Awesome' program. She spent some time reflecting on a recent Easter-themed workshop we organized for our students. Our workshop was curated + led by the passionate Yi Han, who is currently a scientist at the National University of Singapore. We led students through an incredibly entertaining and socially-inclusive easter egg hunt at our headquarters followed by activities such as: Making your own easter bunny hat as well as the highly anticipated, 'Unbreakable Egg Challenge'. 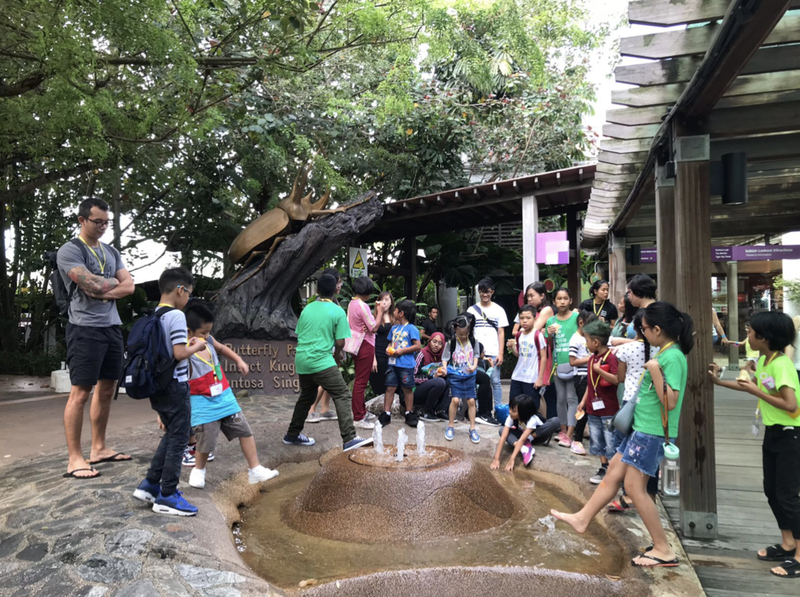 Students were encouraged to grab one of the eggs (filled with water) and use any of the materials provided (all recycled items that have been donated by the Singapore community). Teacher/Scientist, Yi Han, guides students through the challenge. Our #BeyondAwesome students excitedly get into the challenge with their team mates! Susan leads our student through their Easter Bunny Hat projects! Yi Han and Aseem lead the challenge finale where each 'Unbreakable Egg' was put to the test! "In that moment he really believed that he could achieve anything in this world. His face a look of pure exuberance and pride. His team had carefully cut through the structure they'd created. As they pulled out their egg intact, the room erupted - they had made the seeming impossible, possible! They had created the unbreakable egg! Students had worked in teams, experimenting with engineering concepts such as shock absorption to construct protective structures around eggs to prevent them from breaking when thrown to the ground. The Unbreakable Egg Experiment was a huge hit! Thank you Teacher Yi Han for allowing the students to show their Beyond Awesomeness!" Faheenah and Haekal who were part of the team to produce the Unbreakable Egg!